Placerville, Calif.-native Timothy Hollingsworth may have grown up surfing the waves at Bolinas and Ocean beaches. But now, the self-taught chef is in for the ride of his life on a veritable culinary tsunami as the new chef de cuisine of the one and only French Laundry in Yountville. 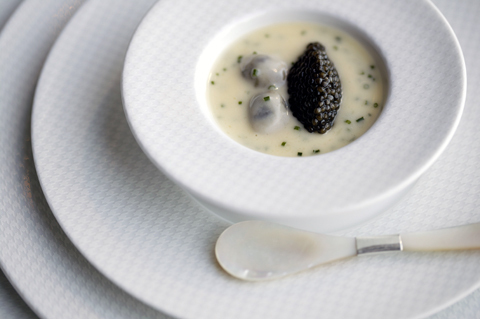 The esteemed restaurant, which has won every accolade imaginable, just celebrated its 15h anniversary last month, too. 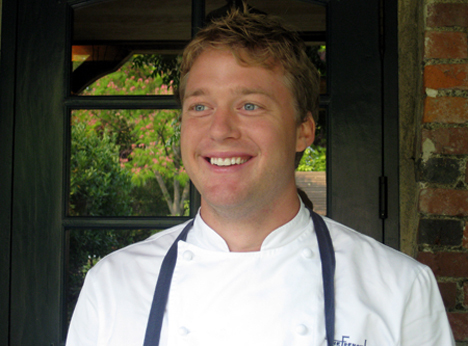 Hollingsworth, who has been with the French Laundry for seven years, stepped into the top toque role this month with the departure of predecessor Corey Lee, who left to open his own restaurant. If the 29-year-old Hollingsworth is feeling the weight of that responsibility pressing on his young shoulders, he’s not letting on. Hollingsworth, who learned his craft apprenticing in celebrated European kitchens, including one manned by bad-boy chef, Gordon Ramsay, is used to being under pressure. Earlier this year, he competed in the prestigious Bocuse d’Or, the Olympics of cooking, where he placed sixth out of 24 chef teams from around the globe. During a recent hiatus before resuming work at the French Laundry, Hollingsworth was kind enough to do an interview via email. Oh well, you have to give a Food Gal credit for trying, right? Q: You’re about to take over the kitchen of one of the best restaurants in the world. How do you keep from psyching yourself out? A: I would not say that it is intimidating as much as it is exciting. I am so well supported and have such a great team that I really just have this feeling of appreciation to be working with such talented people. Q: You’re following in the footsteps of some great former chefs de cuisine, including Corey Lee and Grant Achatz (now of Alinea fame). How does your style differ from their’s? A: A person’s style is really just a picture of their life’s experiences. I have been raised in California, so I will really just rely on the lush agriculture of the land. Q: Years ago, after eating dinner at the French Laundry, you handed Thomas Keller your resume, did a one-day stage, then pestered him until he hired you. How long did it take for you to sway Keller? A: It took me a few weeks of phone calls to convince the chef to give me a shot. I was so insistent because it is a great part of the country to be in and I am very close to my family. Not to mention the fact that Thomas has such an amazing reputation and the French Laundry cookbook was so inspirational. 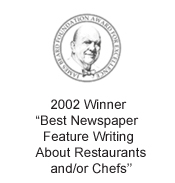 Q: You volunteered to compete in the Bocuse d’Or when everyone else at the restaurant group was shying away from it. Why did you decide to do it? A: I would not say that everyone shied away from it. Corey asked if I would be interested in the competition and I was encouraged by others to do it. So, I felt I had a lot of support. Q: What did you learn most from competing in that phenomenal event? A: I learned that this industry is filled with amazing people. I am excited to watch the relationships that were made grow. Q: What’s the most important thing you learned from Gordon Ramsay? A: I always wanted the opportunity to stage in Gordon’s kitchen. 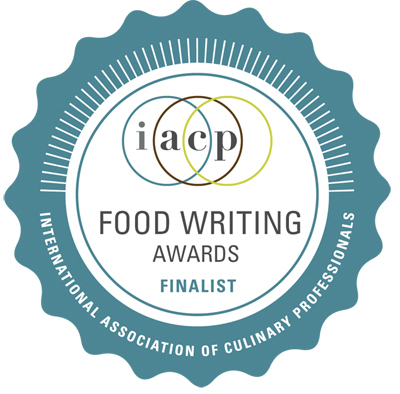 When I was younger I would read stories and hear about other cooks’ experiences in England. The English are notorious for their tough kitchens and the long hours they work. Looking back on that time now, the biggest lesson for me was the importance of balance. It’s great for an individual to be a hard worker and dedicated, but it’s also crucial for there to be balance in your life. With balance comes endurance. Q: What’s the best lesson you’ve learned from Thomas Keller? A: Taken together, everything Thomas has taught me has been equally important. All the lessons I’ve learned from him are part of a larger philosophy that is constantly evolving. Through our time together, I have learned that I must have a set of core values to guide me both in and out of the kitchen. Thinking back on the time I worked on the line, he didn’t just teach me how to cook, he trained me to be a chef. There is a big difference. Q: Have you given up surfing, since there are no waves in Yountville? A: I will still try to make it out about three times a month. I am a firm believer in balance, and in staying healthy, and keeping in shape. Congrats, Timothy. He’s such a Californian about his tough, new gig. Hang ten, dude. Great interview, beautiful pictures as well. 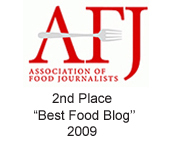 When you write articles like these do you take all your own pictures or are some given to you by the restaurant? Just curious because your photos are always so gorgeous and I would love to know what to do to build up to your skills. Kelly: I take most of the photos on the site. If you put your cursor over any photo and see the words, “Photo courtesy of…..,” then the photo came from another source, such as a publicist or professional photographer. If you put your cursor over a photo and do NOT see those words, then yours truly took the image. Thanks for your kind words about the photos. I still consider myself a very amateur photographer. I’m just glad when something turns out half-way decent looking. I think the best thing to do is to just take a lot of images and study why something went right or went wrong. That way you start to learn what works best for you in what type of circumstances. Those are all great tips. Funny, I never noticed the cursor things before. Thanks! HE must be very talented. Wow, can’t wait to check out his work, what an incredible opportunity to work at The French Laundry. His future is made. Carolyn, great interview! I have a reservations for The French Laundry in September. I can’t wait!! Must be a dream job for him! 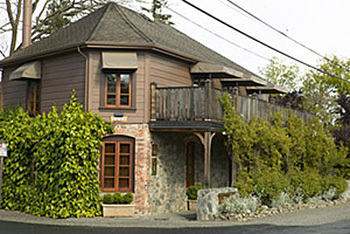 I’m looking forward to dining at French Laundry, perhaps next year. Ben: That’s true about factoring in the cost of plane tickets. But it’s also a great excuse to vacation in the San Francisco Bay Area. The weather is almost always good, and you already know there’s a wealth of food and restaurants worth exploring here. One upside to the dismal economy is that air fares and hotel rates have dropped. Something to consider. One day…I’ll make it there, but for now, you did a great job interview. Now I want to go even more!